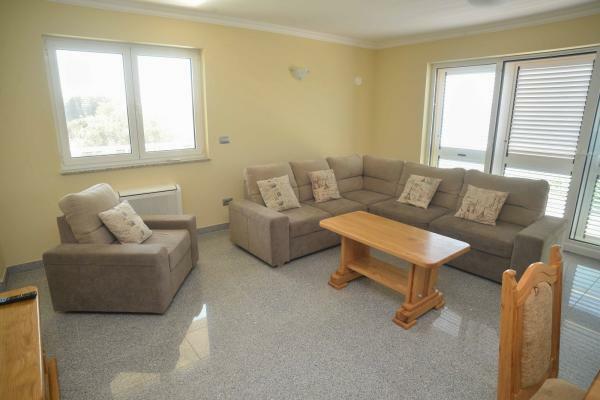 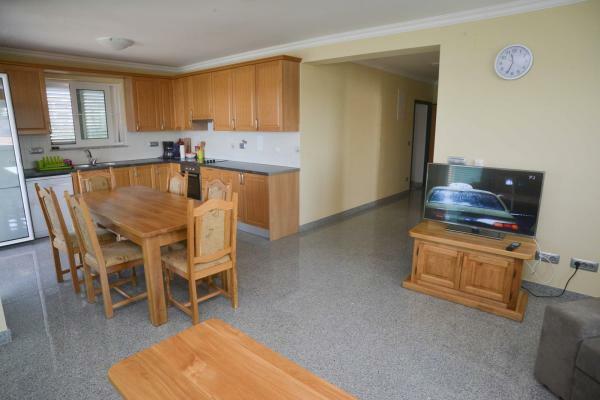 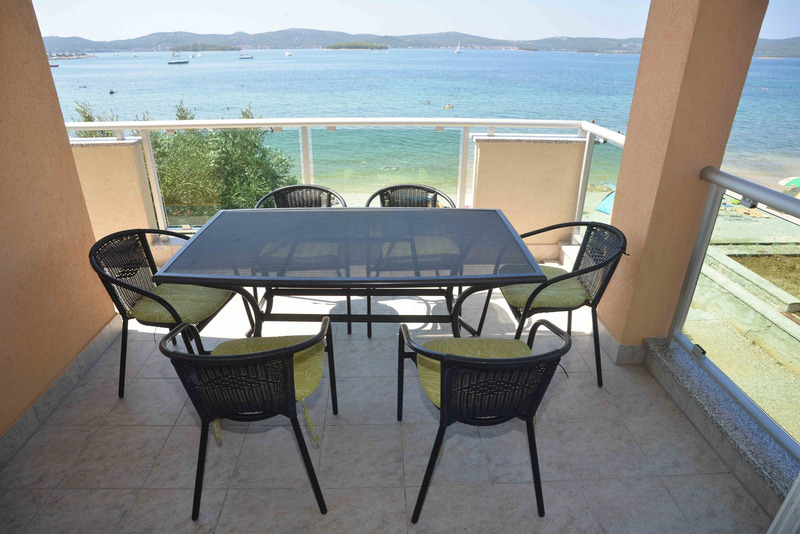 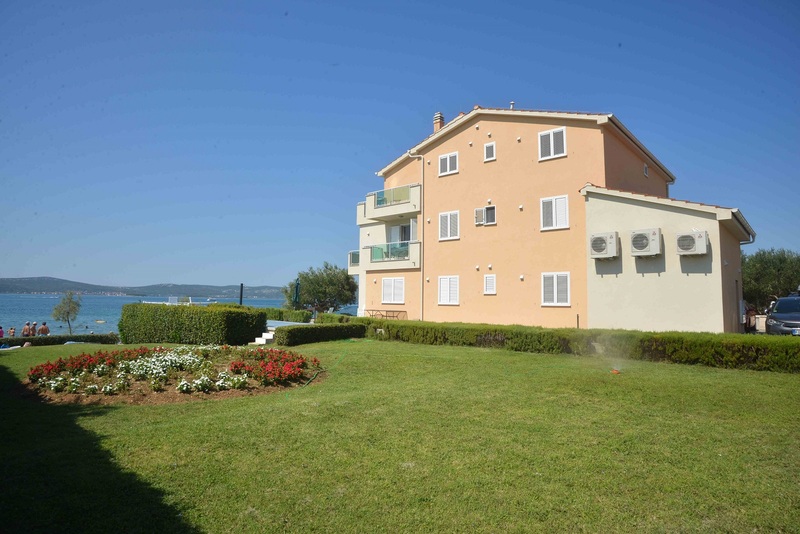 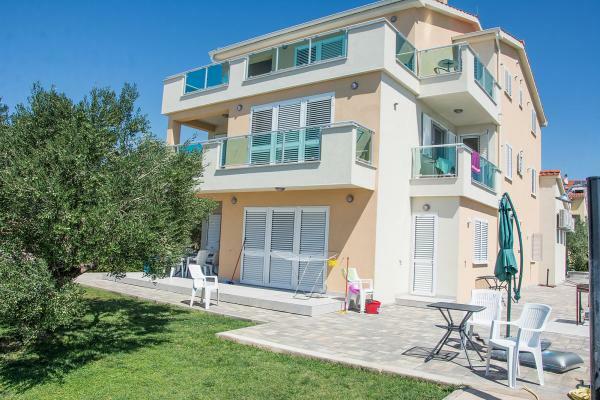 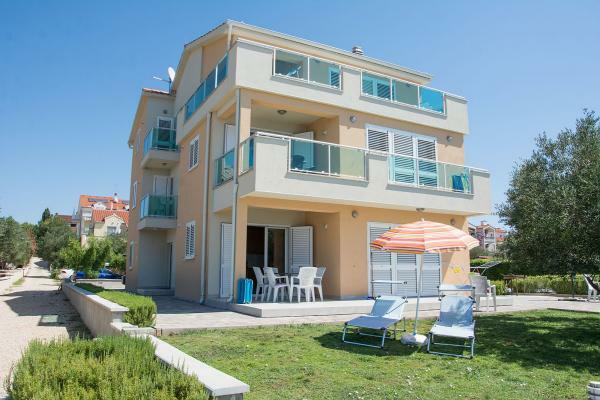 We offer you this luxurious apartment, for rent, in the new holiday house Villa Marija, situated in Biograd na moru, by the beach Bosana - suitable for children and non-swimmers. 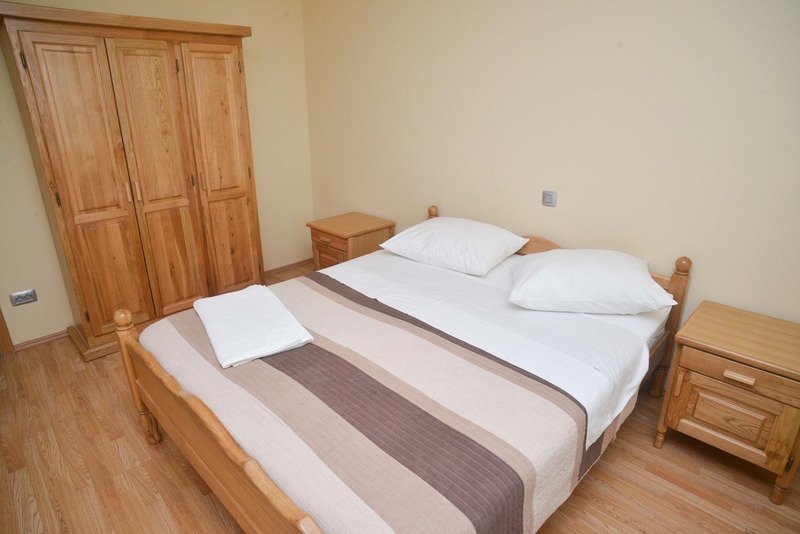 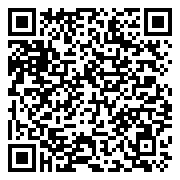 Apartment A6 (125 m2) is on the first floor, with three bedrooms and two extra beds in the living room, for up to 8 persons, here are two extra beds available against surcharge. 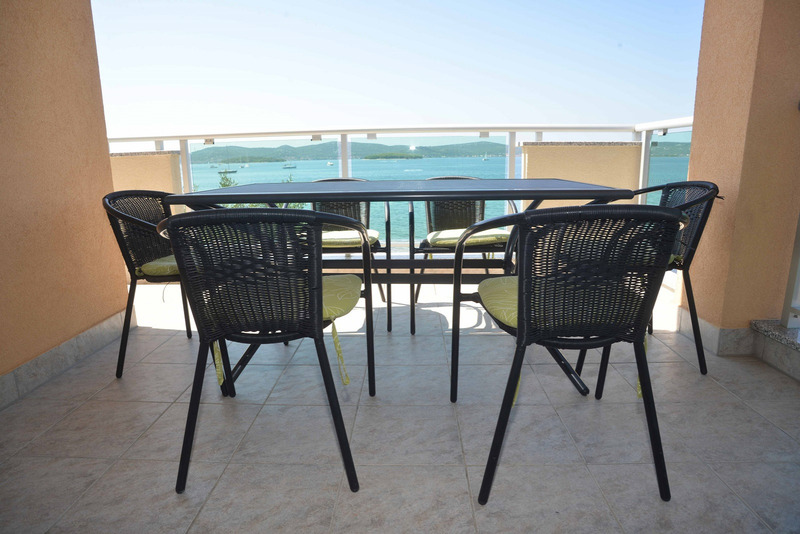 Has three private balconies, the one accessed from the living room is the larger one, while the other two, one accessed from a bedroom while the other accessed from the kitchen, are smaller ones, but all are furnished and with direct sea and beach view. 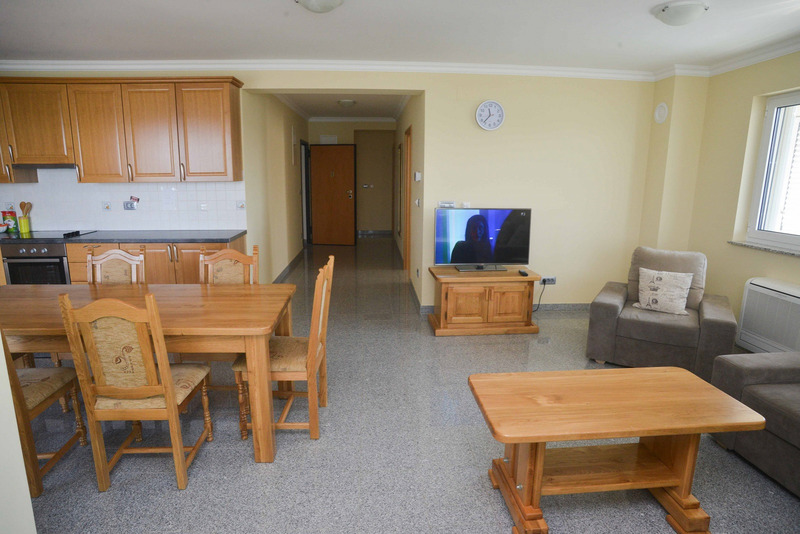 Apartment is equipped with a Wi-Fi (WLan) internet connection, air-conditioning (living room and all the bedrooms), a SAT TV, a kitchen - with cutlery and crockery, cooking stove with baking oven, refrigerator with freezer compartment, coffee machine and dishwasher - and two bathrooms with showers. 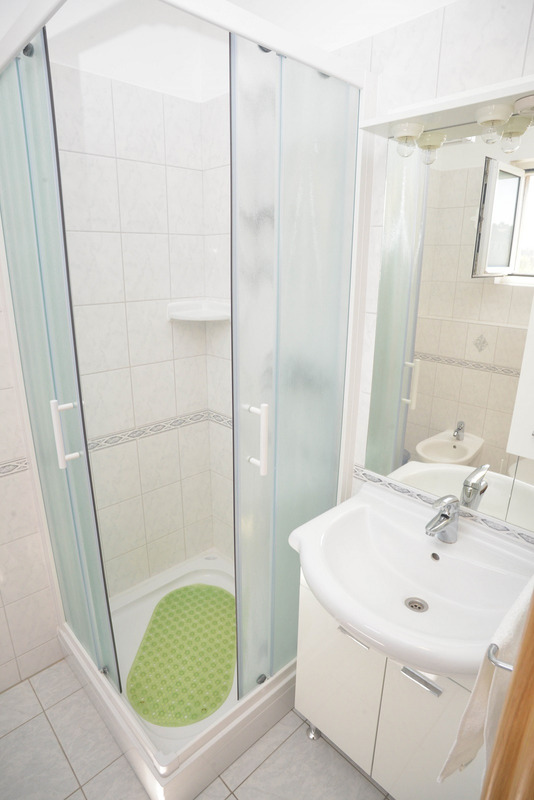 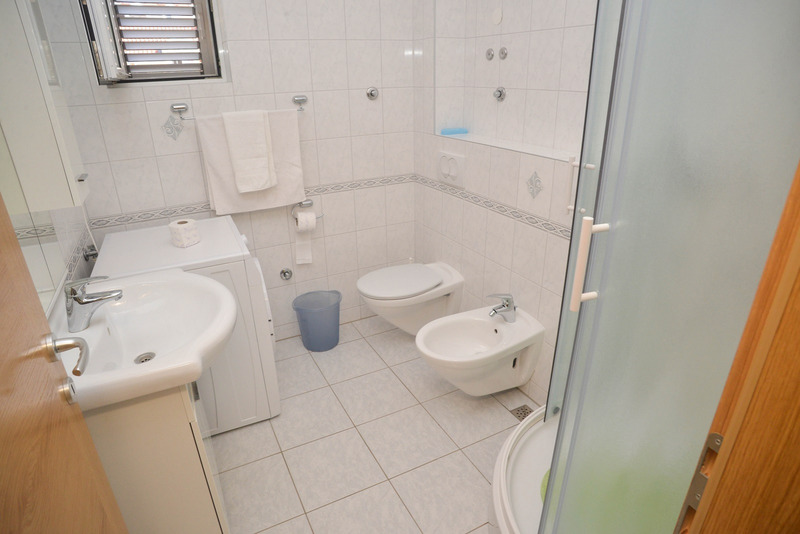 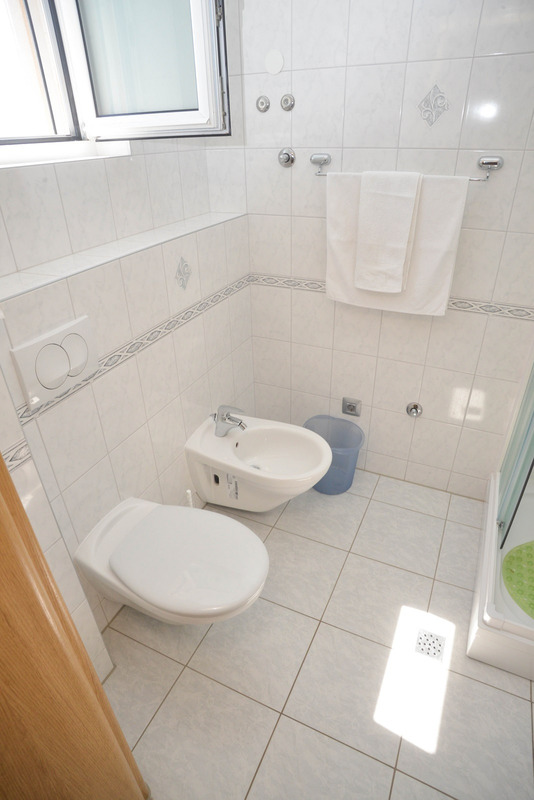 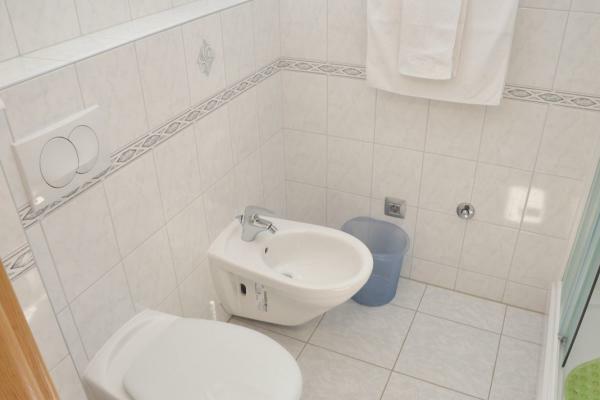 It has also washing machine within the apartment, in one of the bathrooms. 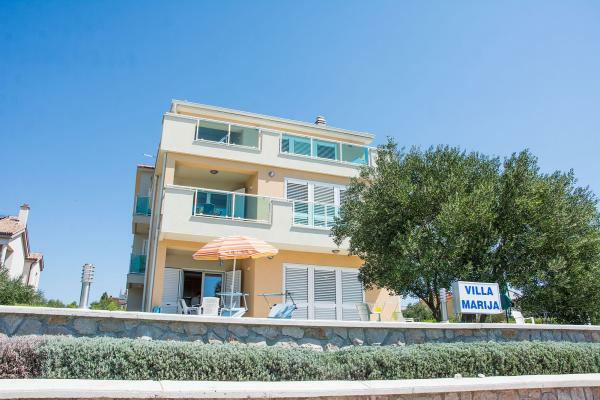 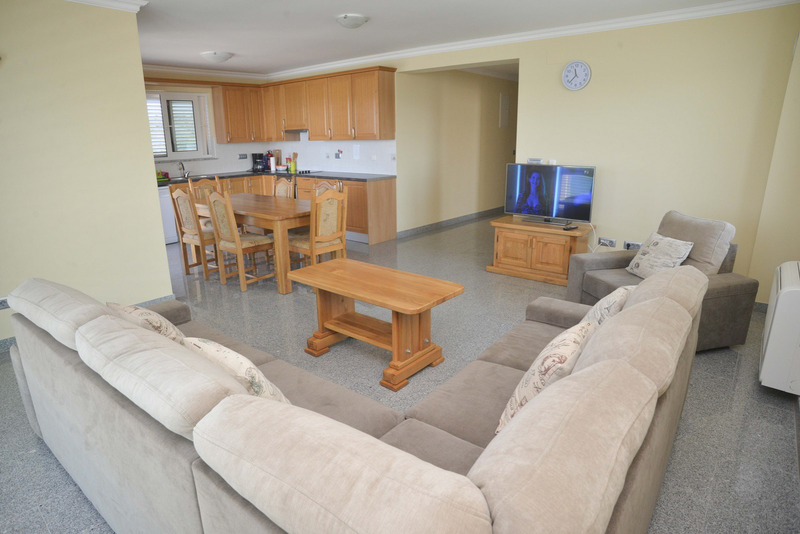 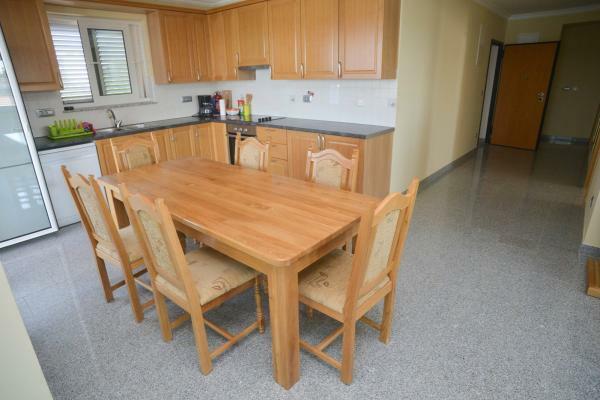 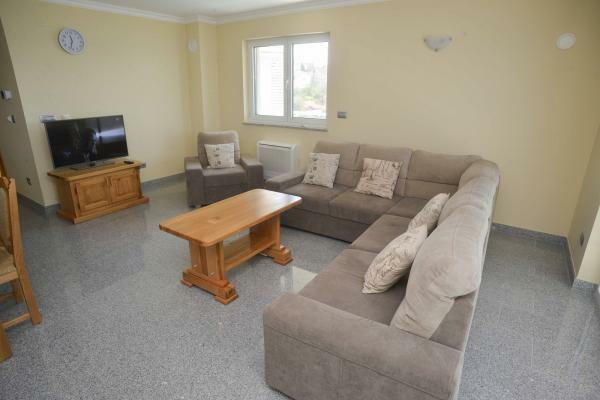 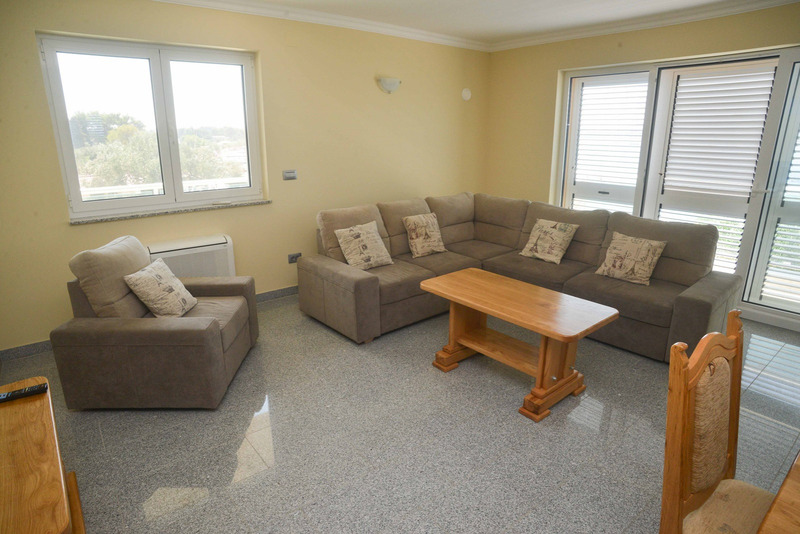 There are another holiday apartments in this villa, one can accommodate 4-6 persons, presented here, and the second one can accommodate 6-8 persons, presented here. The villa has an anchorage in the sea in front of the house.